Evolve your business or face extinction! Marketing has undergone some huge changes within the last few years and has led the way in the “art of doing something new”. In this session, Stuart Hartley, the Founder and Managing Director of Incrementa, looked at the new ways of marketing both on line and off line and provoked you to think differently about the way you market your business. If you’ve ever struggled to craft a powerful message that really hits the spot, you’ll know it’s harder than it looks. 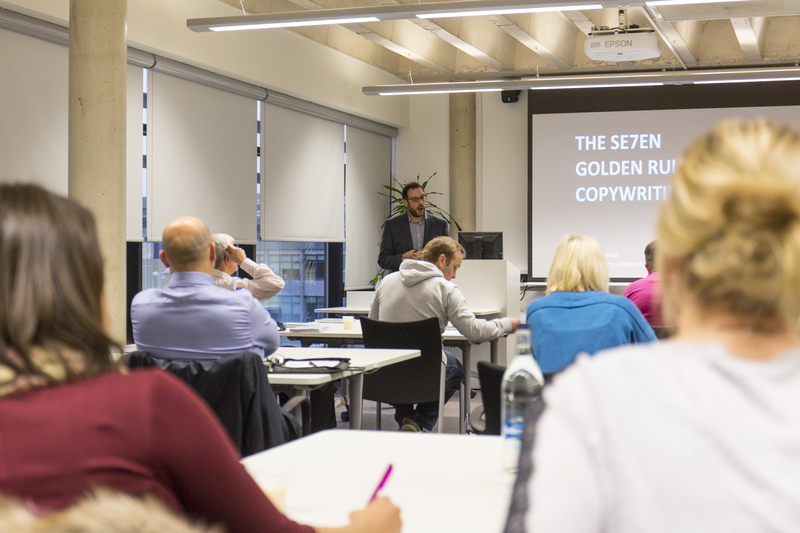 In his highly visual talk packed with examples from international brands to small start-ups, Gyles Lingwood, Director of Education & Students for the College of Arts at the University of Lincoln, shared seven crucial considerations for communicating effectively with your audience. Designed to help anyone who works with words, this presentation pumped up your persuasive powers and helped harness the power of the written word.